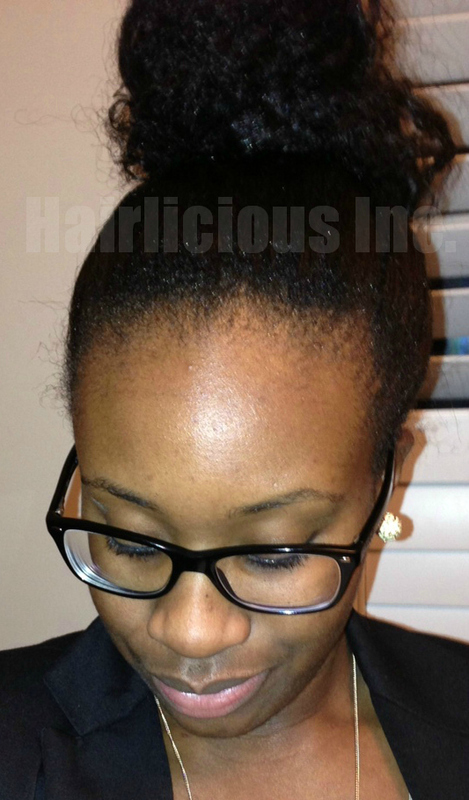 Hair Update - 11 Weeks Post Relaxer & Shedding - Hairlicious Inc.
what about amino acid capsules? I started taking them a month ago. what are your thoughts on those are they a bad idea for hair growth? Abiola, Amino acids are great for providing your body with protein, which is perfect for healthy hair. It's great if you are working out as it helps build muscle tissue. They are good for overall health. Are you taking a multi-vitamin too? LOL Awww thanks luv! I'm still learning too, that's the funny part. Yes, I'll keep you all posted. i feel you!! my 4c hair shedded like crazy i handfuls of shed hair during my strecth..but black tea rinses do help..i did it saw results then my mom and sister followed.. i am a bit extreme so i also do garlic in my prepoo conditioner (the smell goes after you shampoo so no worries lol) or carrot juice in my d/c after washing..they all work i swear by them ..i rotate each week doing one or the other....but if you want softer finish i suggest going for garlic or carrot.....my shedding down to 10 to 20 strands a day and to like 50 during my menses.. I have noticed an increase in shedding too! I was sick with a cold on and off for about 5 weeks, sucky diet, no vitamins, working almost everyday so I know exactly how you feel. We are going to get back on board with everything lady and nurse our bodies and hair back to great health! Lol. Good luck and don't feel alone...I'm noticing what seems like a lot of shedding too. I know it's from stress, school, and being sick as well. Thanks for the tips and I know you'll get a handle on your shedding soon! Thanks hun :) I'm glad I could help! Stress, school and having a cold can definitely wreak havoc on the body. Get on those vitamins girl! You're welcome~I'm on it! Definitely getting back into the habit of taking my vitamins and hoping to see some changes very soon. Starting prenatals is probably a good idea! This year has been ROUGH for colds! Everyone in my house has been sick twice in the past month or so as well and my hair has also been shedding it bit more than normal. and no I dont work out...I dont have "power" for that. Hi Sunshyne, trying boiling some Rosemary Leaves and medium size pot about 3 Tablespoons for all your hair and just it has your final rinse each time you shampoo. You need to probaly switch your shampoo too to. Trying using AS I AM Coconut Cowash Cleansing conditioner or Ebony of Essence Creme Cleanser I alternate betwen the two it helps alot with any shedding. I also make a leave in conditioner and hair butter. If you want a sample I can send it to you. MSM (Methylsulfonylmethane) is a naturally occurring sulfur that many of us lack in our bodies. You can find it in some vegetables i.e. onion, broccoli, eggs etc. MSM disappears during food processing, so many people decide to supplement their diets with a capsule, tablet etc. It helps promote beautiful hair, skin and nails. Good luck Sunshyne. I did the btr in the end of November because of stress and colds. It helped greatly. I need to up my vitamins. Thanks Erica. I did the black tea rinse and it really helped. Vitamins are in order as well. I'll put up a tutorial as quickly as possible for you. It's very simple.